The Food Standards Agency (FSA) has pledged to publish regular reports on livestock slaughtered without pre-stunning. Data will be published on the number of abattoirs in England and Wales which use non-stun or a combination of non-stun and stun slaughter as well as how many animals are slaughtered without stunning. 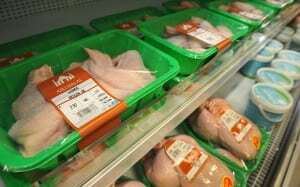 The British Veterinary Association which opposes the exemptions said there was a ‘mismatch’ between supply and demand for halal and kosher meat leading to a ‘significant’ amount of non-stunned meat being sold outside the specialist markets. Interesting isn’t it, how organisations one would expect to be professional and logical, such as UK veterinarians, exhibit mindless phobia when it comes to things outside their cultural upbringing. Despite all the credible studies to the contrary, they continue to opine, and attract mindless support from a brainwashed public fed images of madmen with beards and blood soaked blades, on the assumption that halal slaughter is somehow inhumane whilst the atrocious methods of conventional slaughter are not. With Mrs.May now in power in UK, and her track record of making decisions based on poor/no facts, we should be very concerned that real halal slaughter (i.e. no pre-stun) may yet be banned. Bizarrely the probable only effective line of defense will be the political clout of the Jewish lobby protecting Shechita and thereby accidentally Halal also.